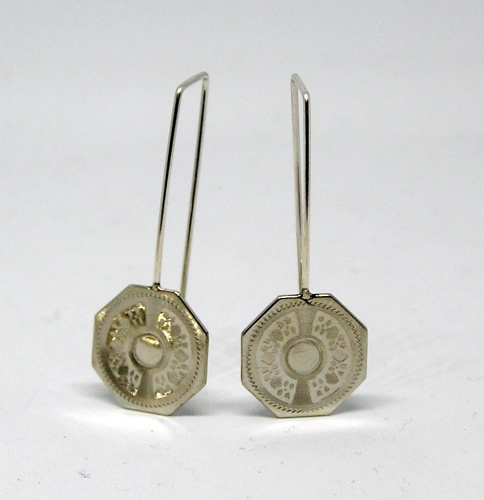 These earrings were repurposed from a vintage pair of cufflinks. Sterling earwires have been added on these silvertone cufflinks so they can be worn daily. Taking something old and remaking it new is my motto now. Orginal cufflinks were probably from between 1900-1940. The metal from cufflinks is unknown.